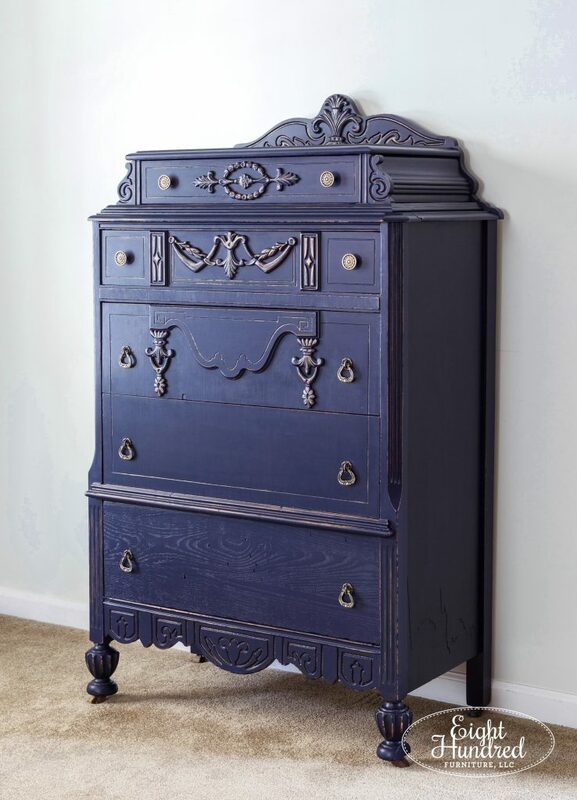 I’m not sure if I’ve ever counted up how many pieces of furniture that I’ve painted in the past 6 years or so, but a large majority of them have a very similar style – Depression Era. 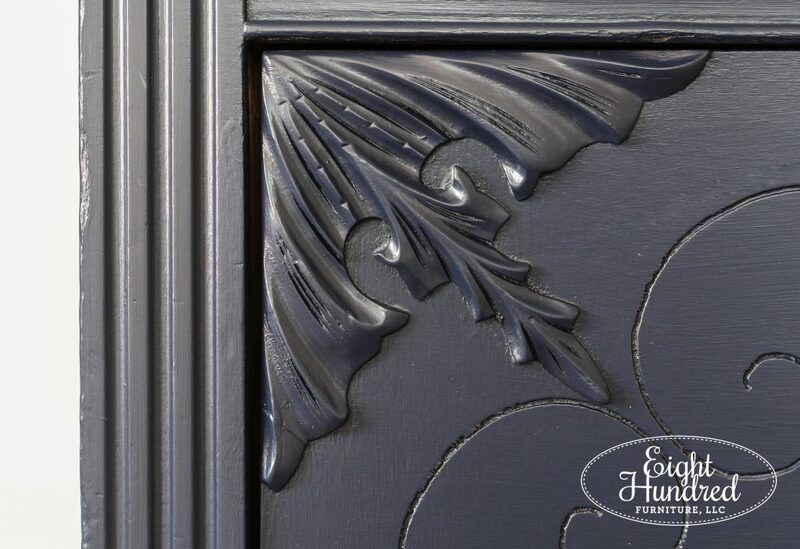 This era of furniture covers from 1920 – 1940 and has some characteristic features like routered details, veneer, court jester-like legs and ornate details. 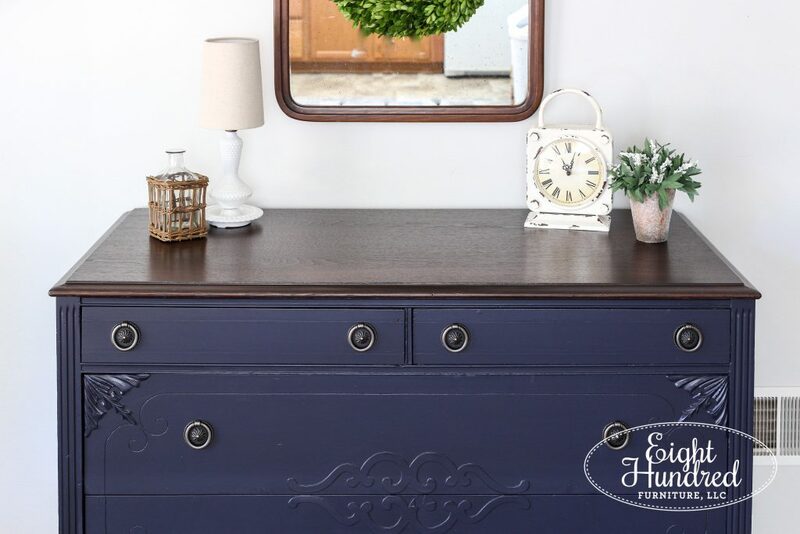 These pieces usually hit the sweet spot in my budget and I really love the look of them so I thought I would round up the pieces I’ve done in the past and have a Depression Era Furniture Showcase! 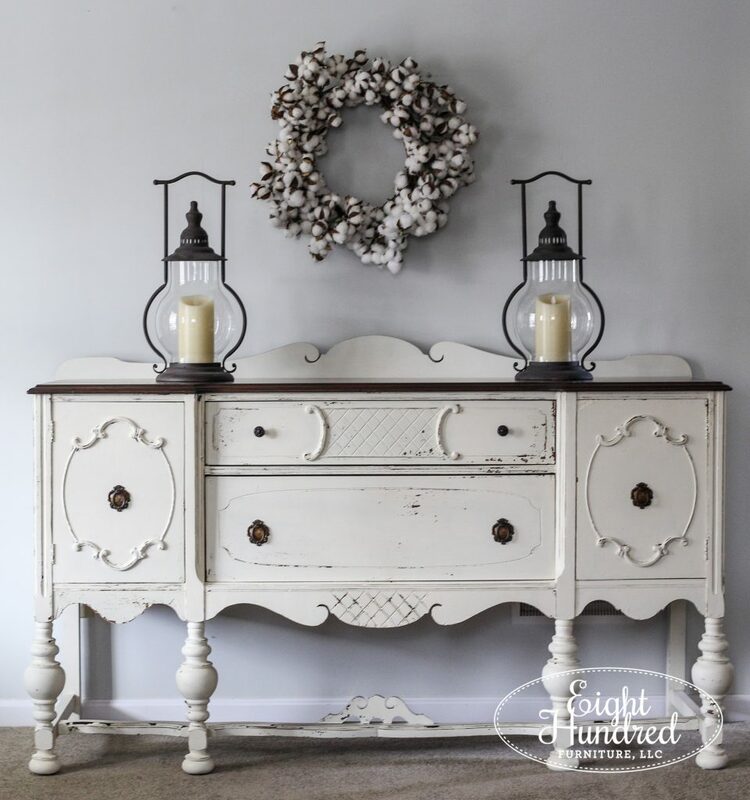 Let’s start with this single nightstand that came from a vanity. 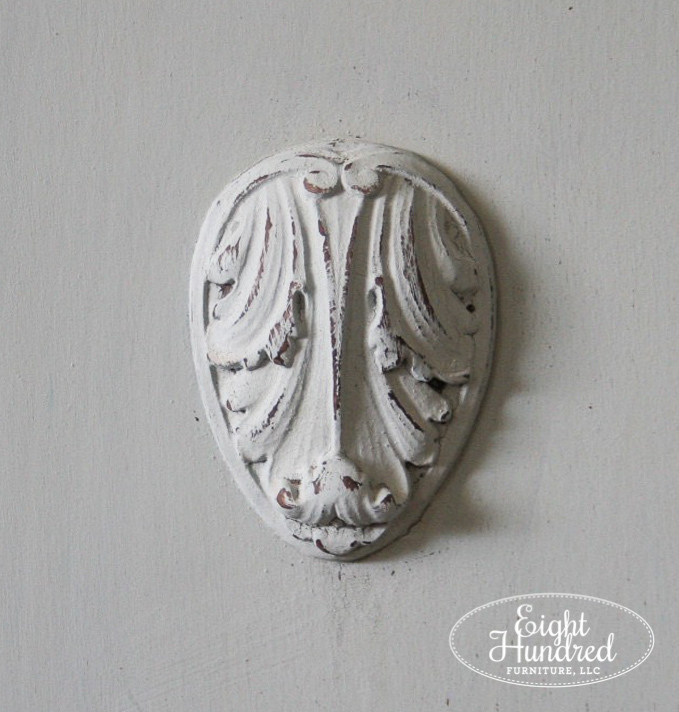 I painted this little guy in a custom blend of Miss Mustard Seed’s Milk Paint’s Marzipan and Schloss. 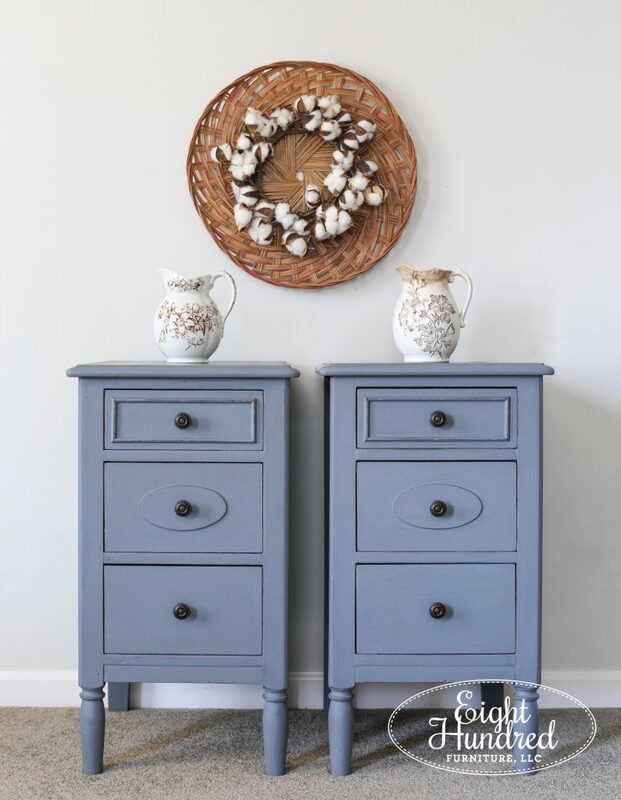 The result is a beautiful warm greige that reminds me a lot of Annie Sloan’s French Linen. 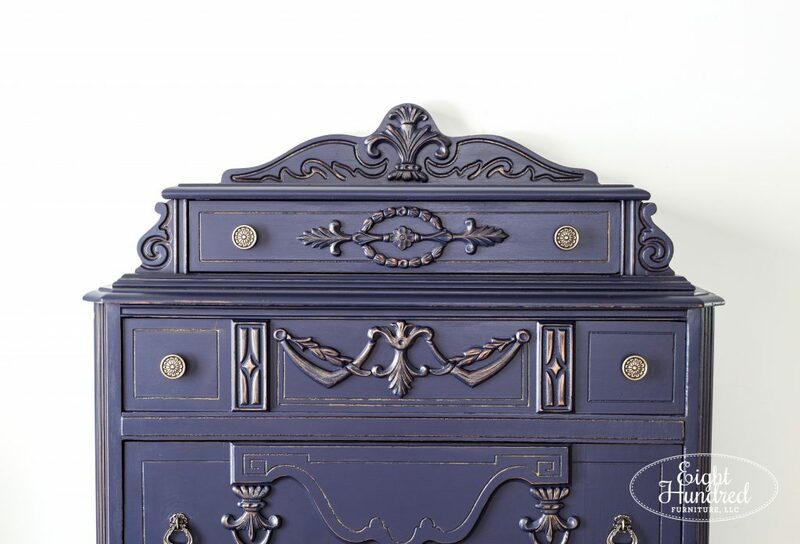 This gorgeous dresser was one of the biggest and heaviest depression pieces I’ve ever painted! 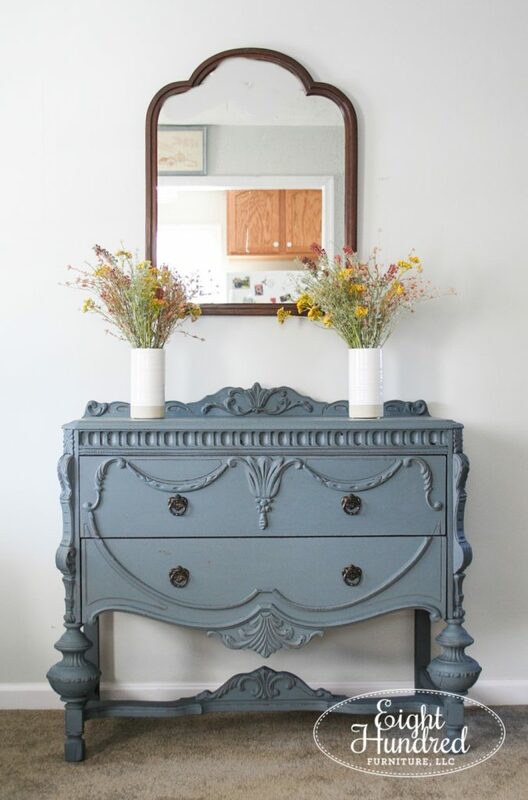 I used General Finishes Milk Paint in Persian Blue to soften the orange tone of the piece. 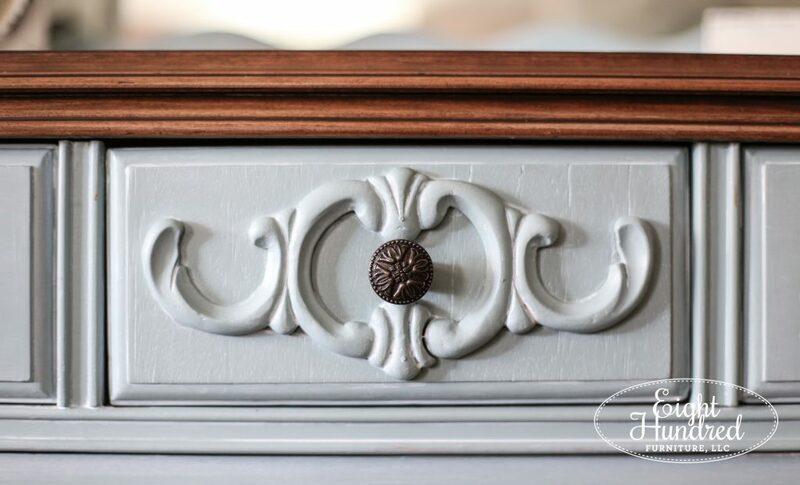 To accent the details, I used GF’s Winter White Glaze Effects and allowed it to settle into all of the carved details to draw the eye in. 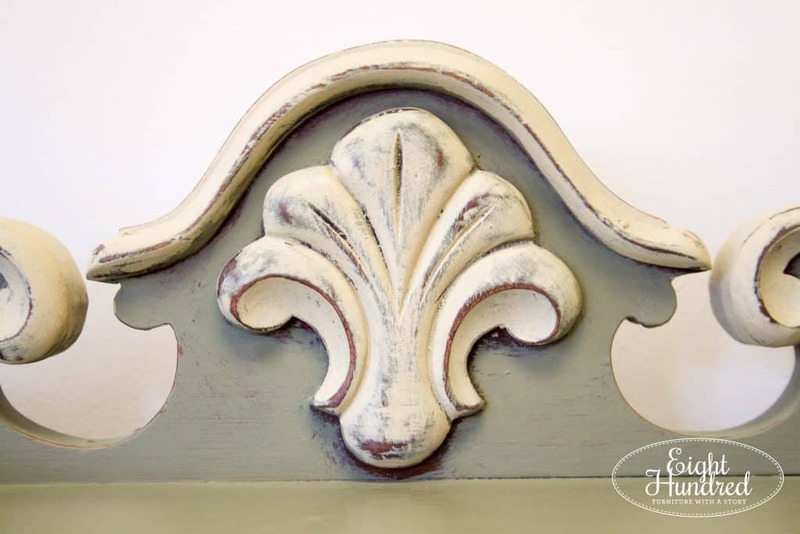 This pretty piece was one of the first pieces that I painted for Painted Table Designs in Elverson. 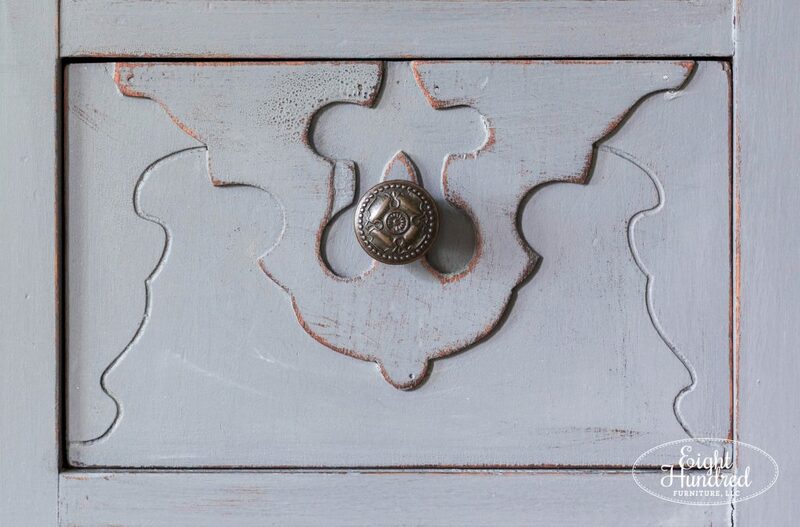 The details were minimal on this piece so I took the time to accent them with white. They popped nicely against the Mustard Seed Yellow background. 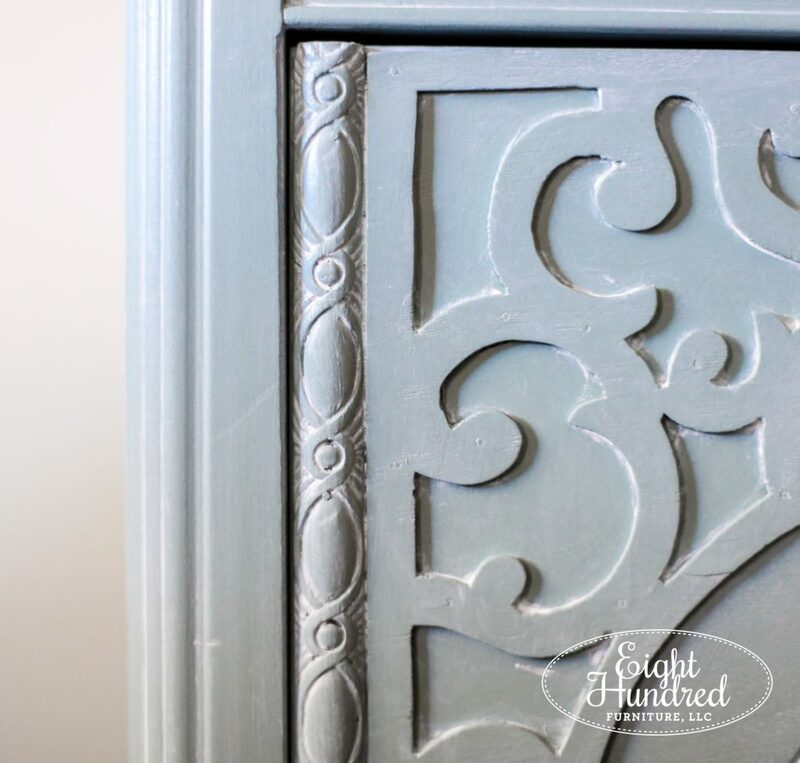 This piece chipped in all the right ways, which is what Miss Mustard Seed’s Milk Paint does like none other. 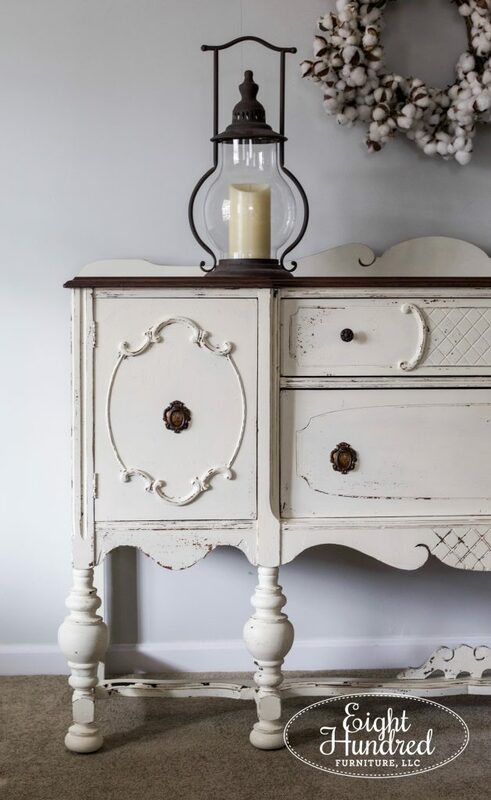 This dresser was sweet and minimalistic with one simple accent in the middle. I decided to go for a neutral and warm makeover on this one. 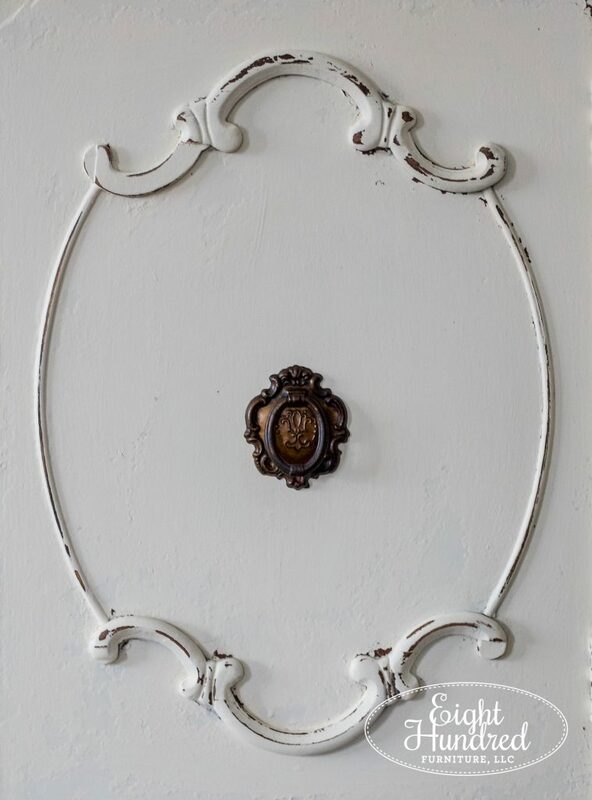 The body was painted in Marzipan by MMS Milk Paint which is a warm almond color. 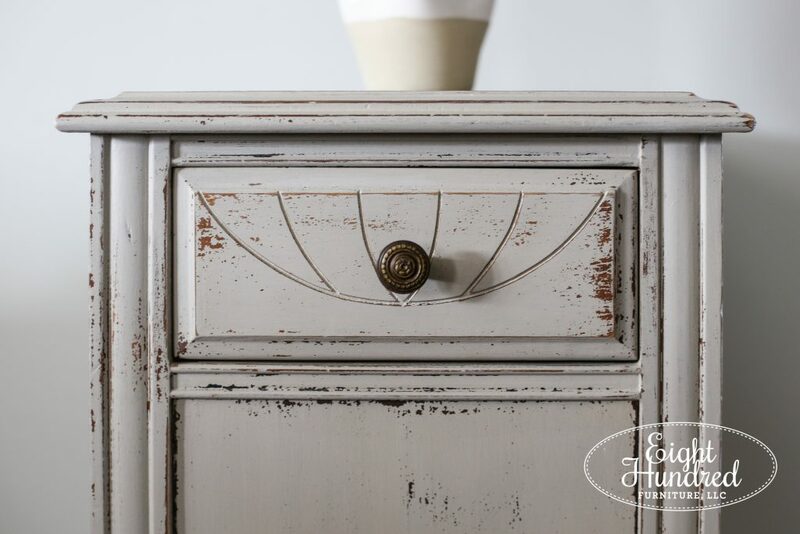 I used Linen, which is a cream, to paint the accent medallion and the vertical lines on both sides. 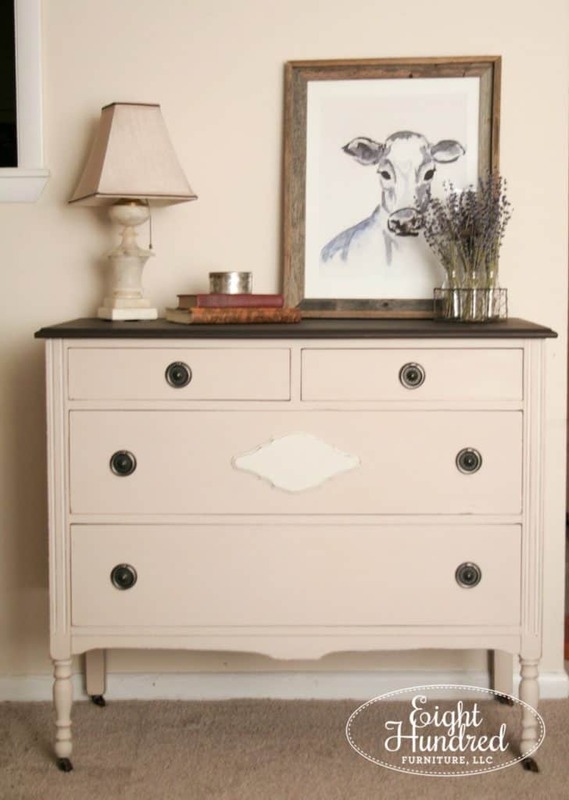 This beautiful and classy dresser was one of my most recent pieces. 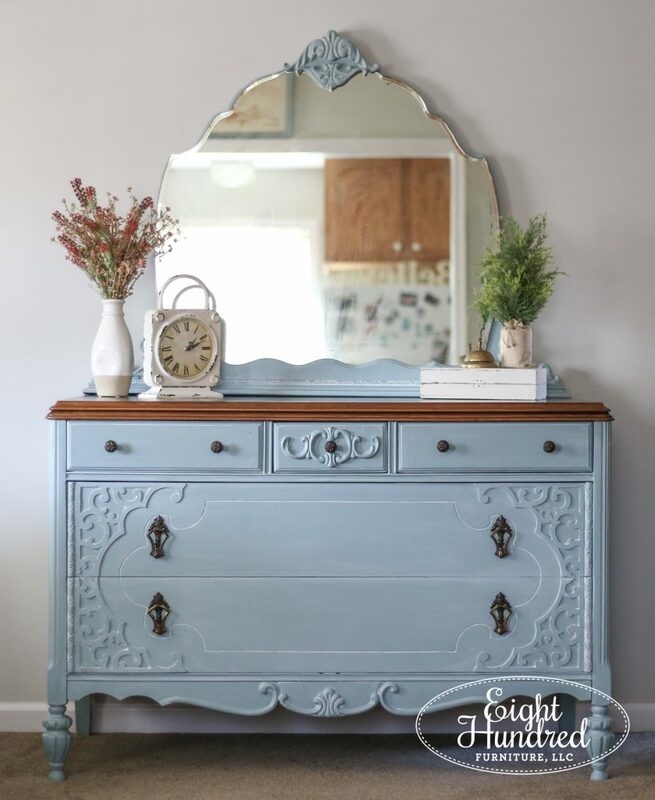 I refinished it for a friend of mine and it’s currently being used as her master bedroom dresser. 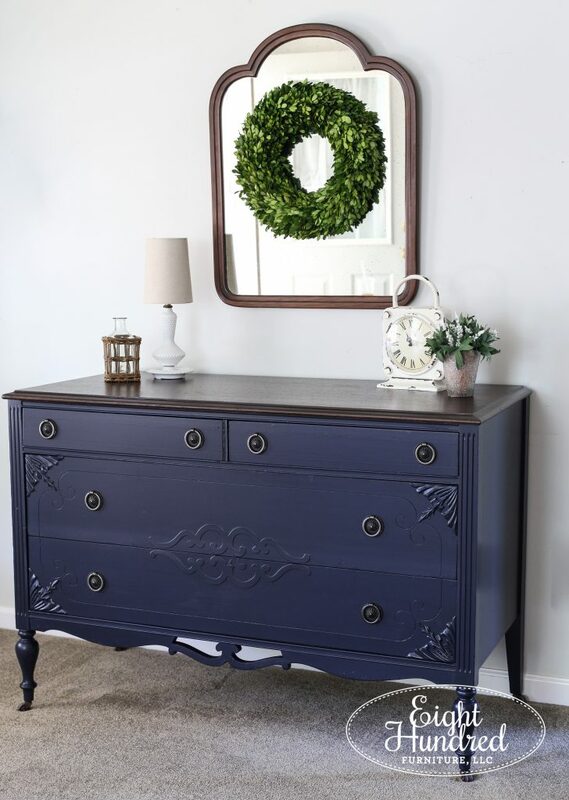 I painted the body in a gorgeous navy called Coastal Blue by General Finishes. 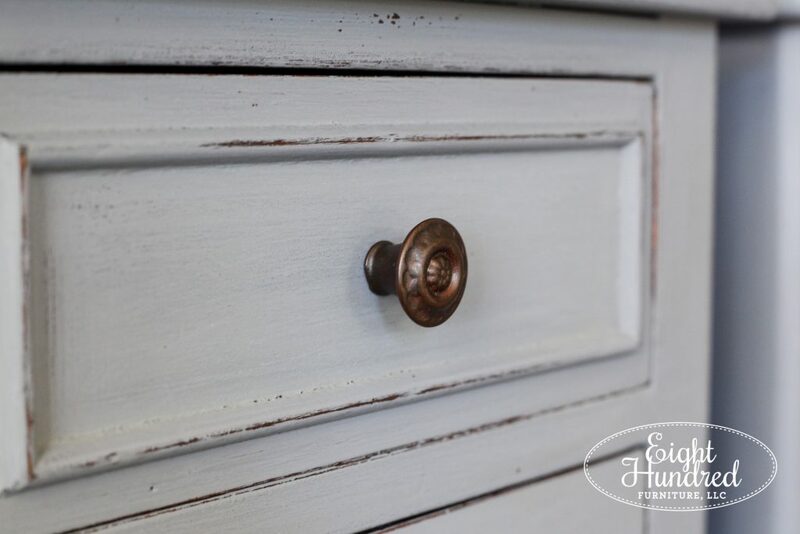 To round out the look, I stripped and refinished the top using Java Gel Stain by General Finishes. You can read more about it here. 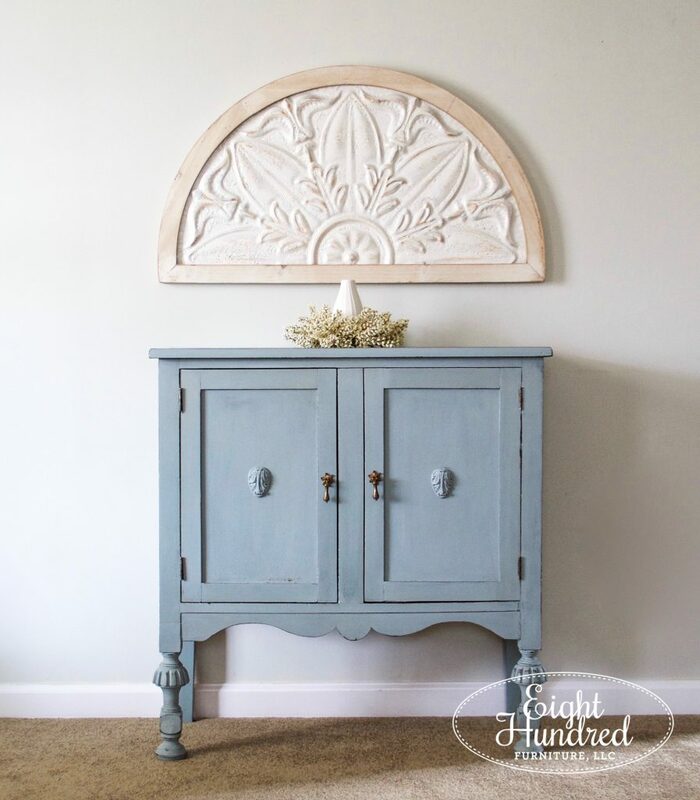 This buffet is more so of a Jacobean style piece than depression era, but there is some overlap in these two styles. 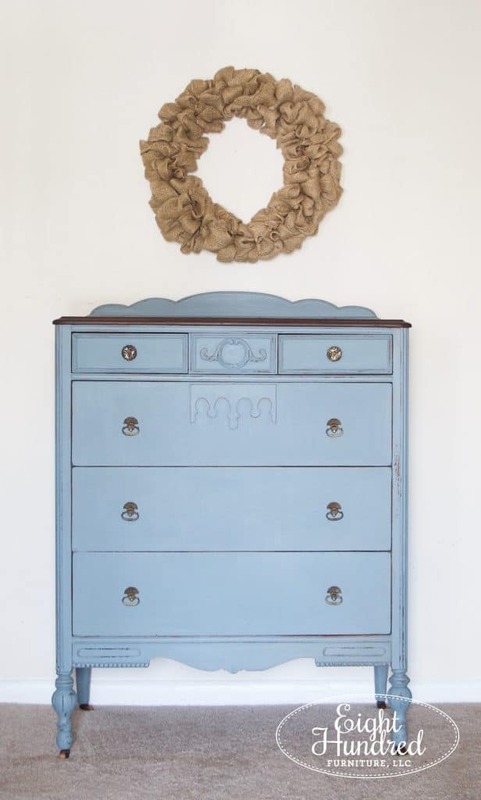 I used Linen by MMS Milk Paint on this and let it chip to its heart’s content. 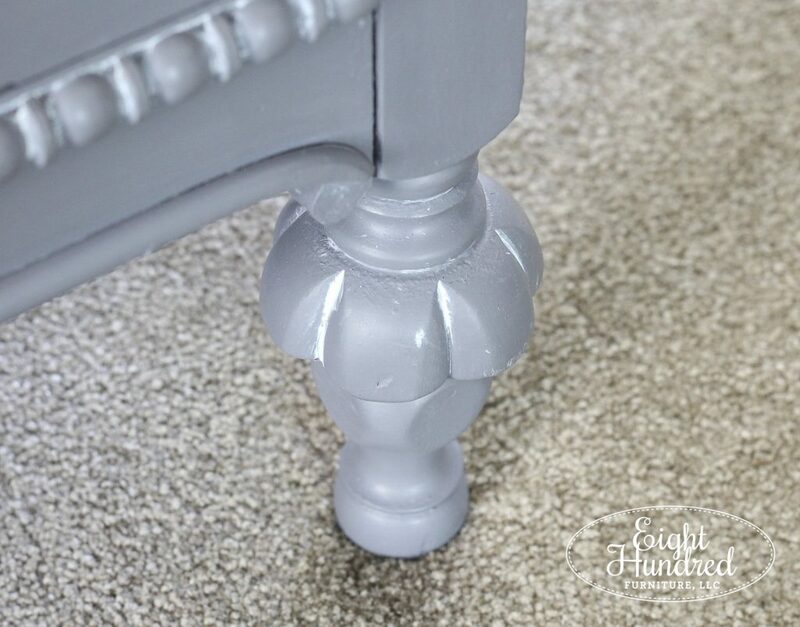 The top was refinished with Java Gel Stain and it didn’t take very long for this guy to sell at Painted Table Designs. One of my regular followers loved this look so much that she requested it for a buffet of her own! I used the same products with the exception of Bonding Agent. The chipping got away from me on this piece, so I wrangled it back into submission with this fabulous additive. 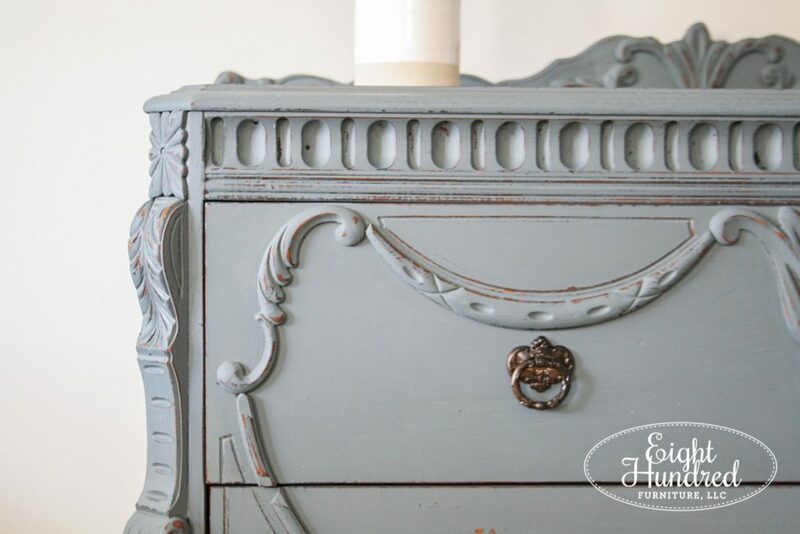 These nightstands were once part of a vanity that I separated a few weeks ago. 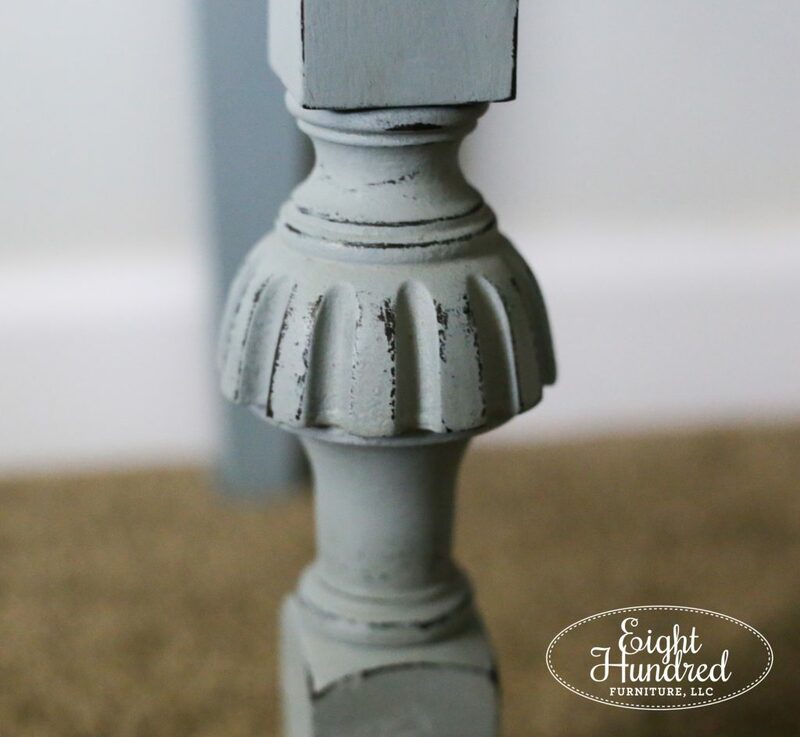 They required some structural repairs once they were pulled apart, and I gave them a custom makeover by mixing Schloss, Trophy and Typewriter by MMS Milk Paint. This piece was probably one of the most labor intensive pieces I’ve ever worked on. 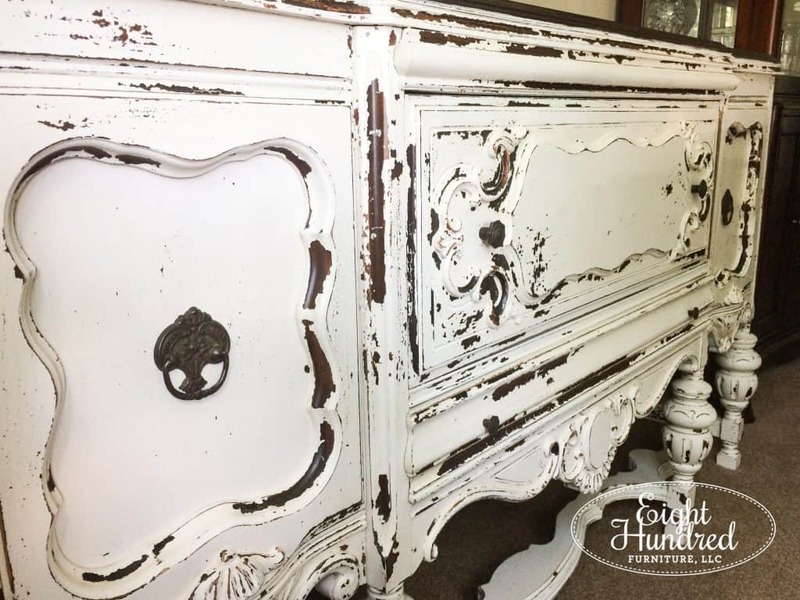 While it may not look like it from the outside, this piece was such a hot mess when I got it. There were bubbles in the veneer, tons of damage on the top and it was dirty and smelly. It took a LOT of time and effort to get it looking lovely again. 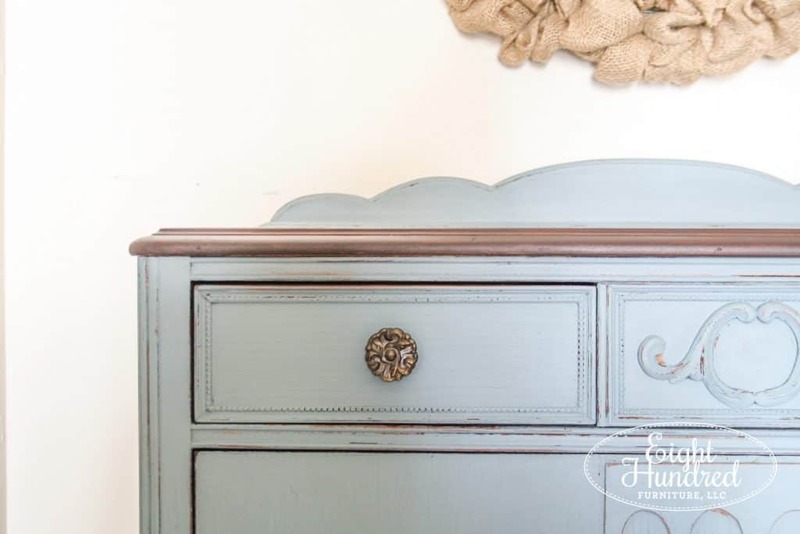 I picked Driftwood by General Finishes as my paint color and accented the details with White Wax by MMS Milk Paint. 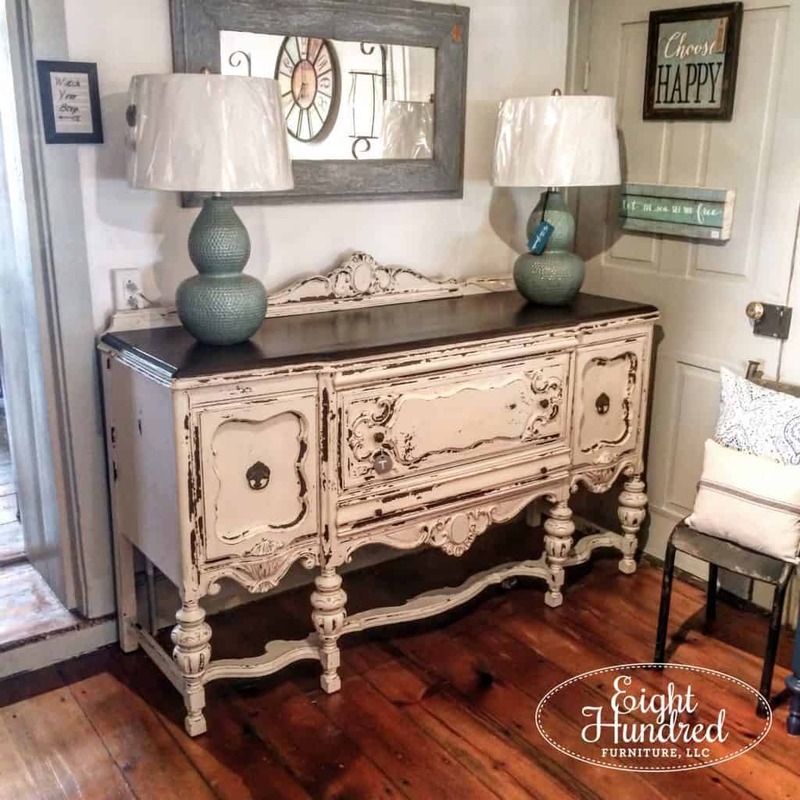 The top was stripped of its veneer, sanded, and stained with multiple layers of stain and glaze to get a gorgeous driftwood look. 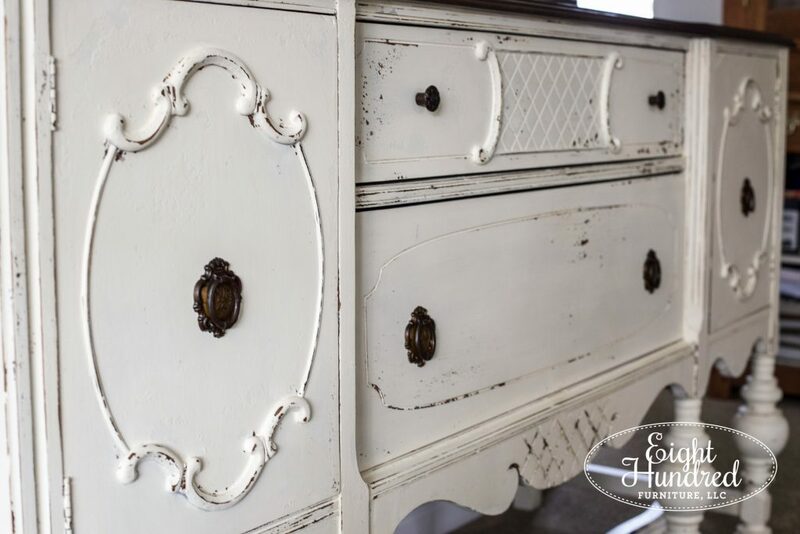 It sold last week at Morgantown Market to a family who will use it for a changing table! 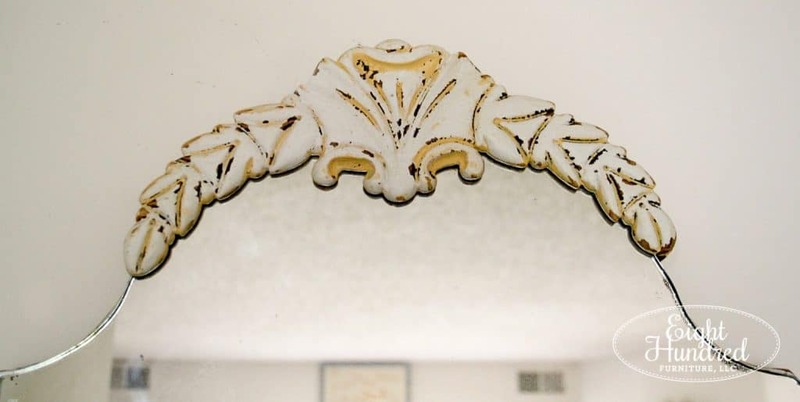 This piece should look familiar to you! 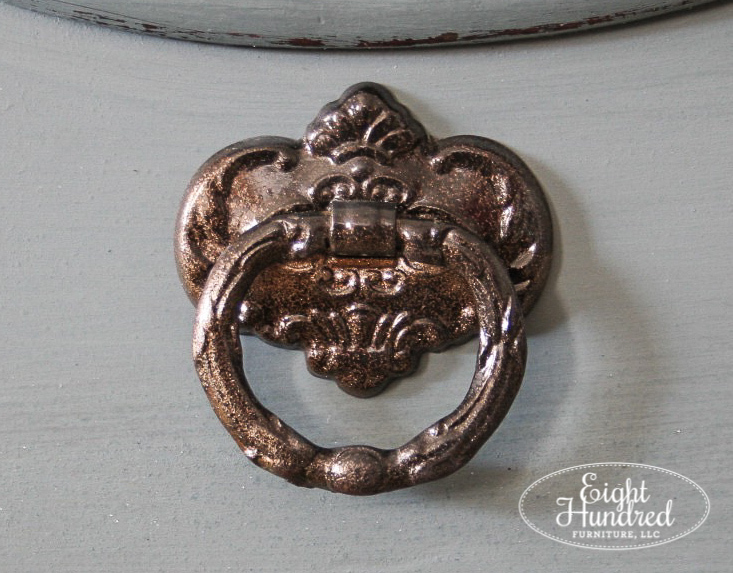 It’s the latest piece I featured here on the blog, and you can read about its details here. 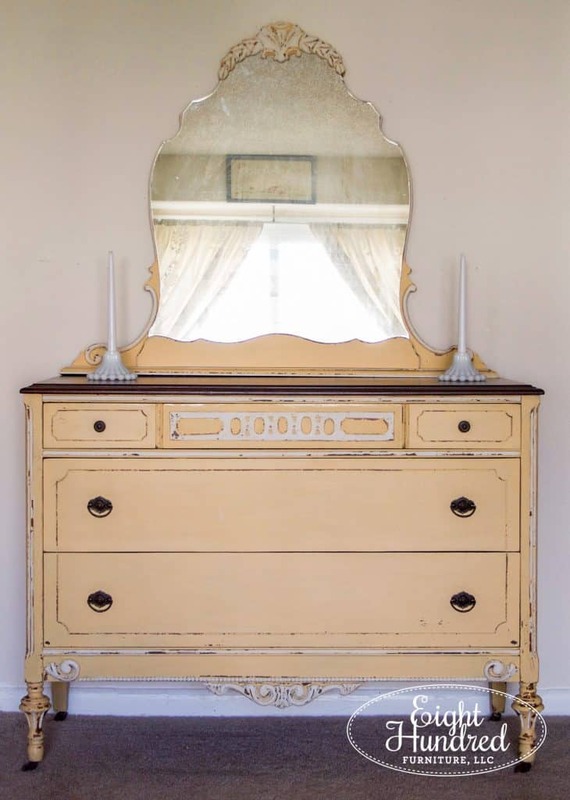 I loved this piece so much and I haven’t been able to find another one like it in my travels. 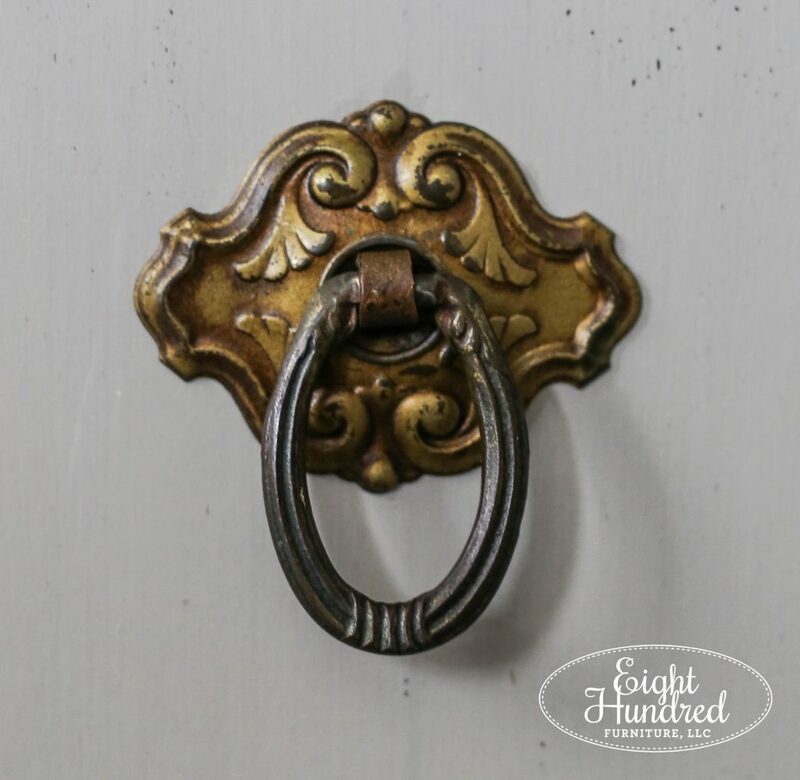 I found it when I stopped randomly at an antique shop in Maryland right near the Conowingo Dam on a whim. The shop was one of those dark and musty places that looked a bit junky on the outside, but it had a lot of treasures inside. 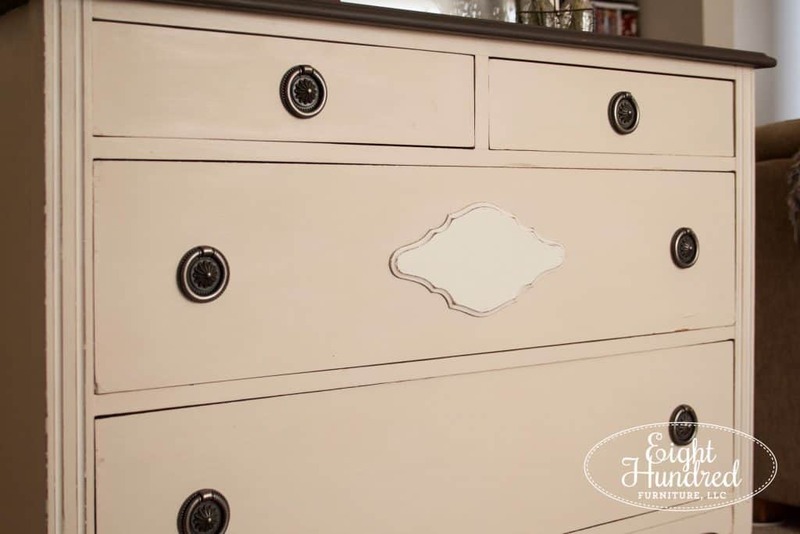 This was painted for a fundraiser I participated in last Fall, and it looked so soft and sweet in a custom blend of Bergere and Grain Sack by MMS Milk Paint. 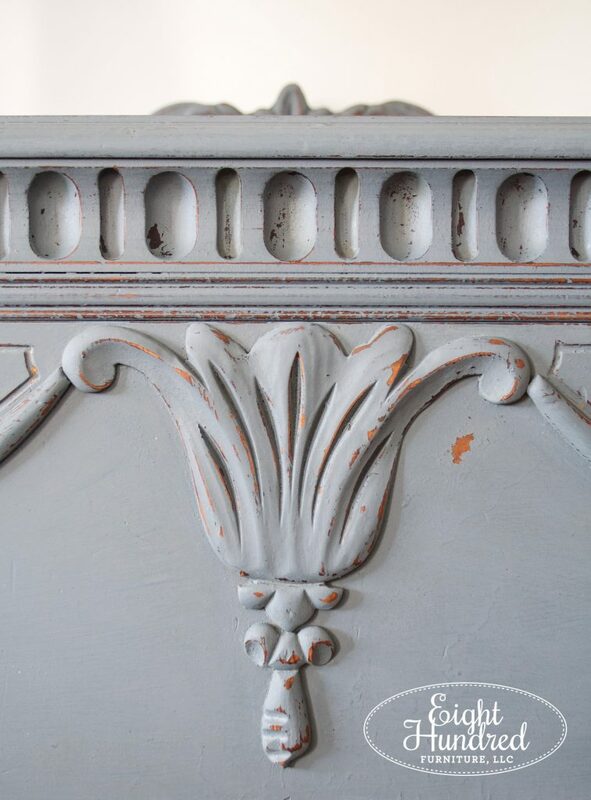 Speaking of Bergere Milk Paint, here’s another beauty that I painted in this smokey blue/gray. 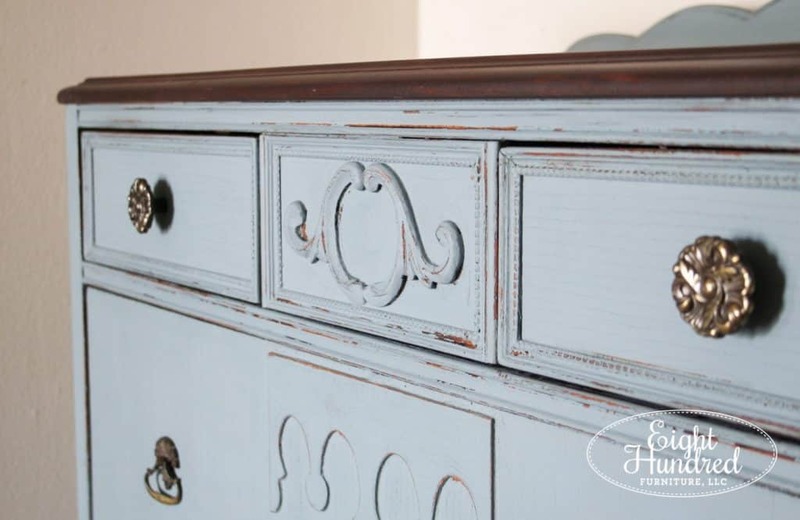 I stripped and refinished the top with a blend of Curio and Typewriter Milk Paint that I watered down as a stain. 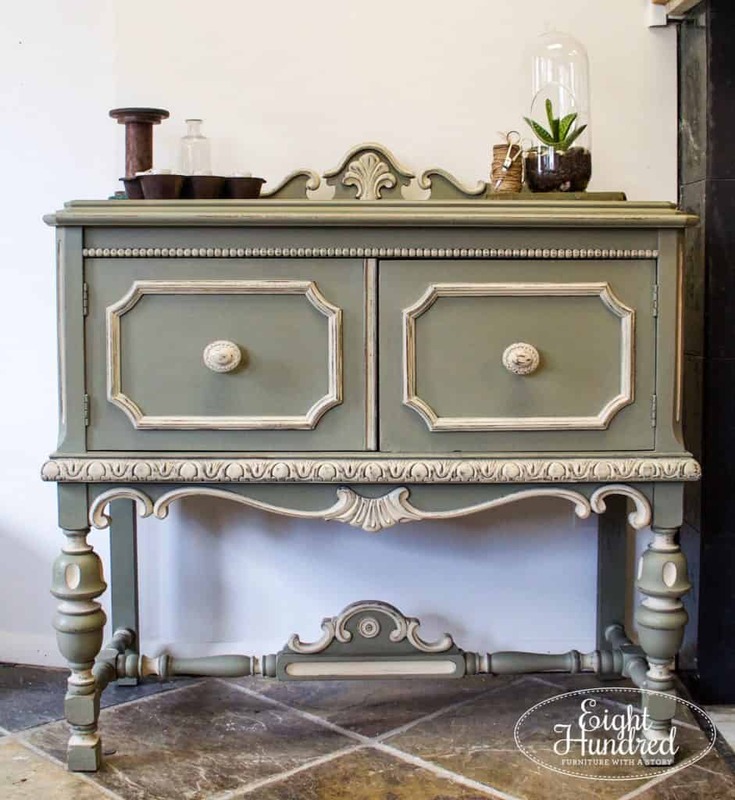 When I was transitioning from being in education to starting a furniture painting business, I worked for an Annie Sloan stockist in a nearby town for a few months. 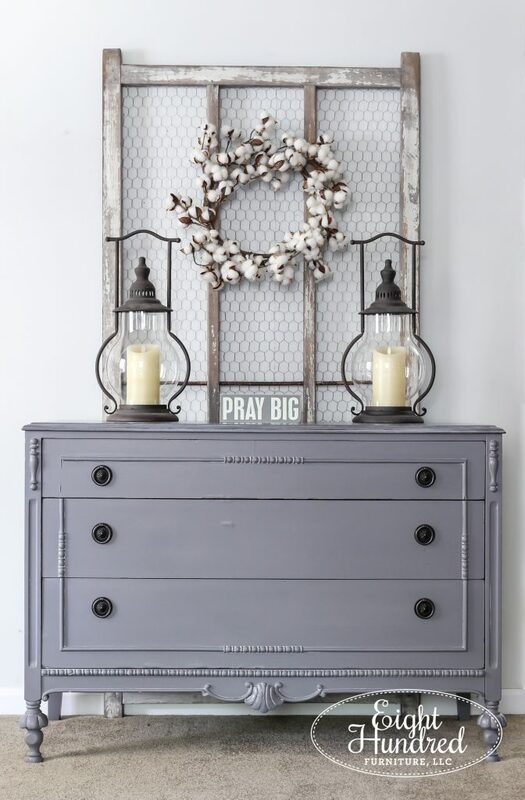 This is a piece that I bought at my first auction and I painted it in a combination of Chateau Gray and Country Gray Chalk Paint by Annie Sloan. 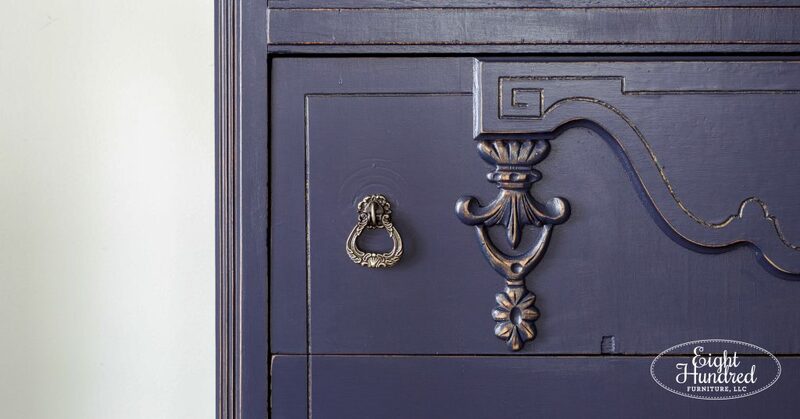 Before Miss Mustard Seed launched her newest color, Aviary, I had the special color recipe to mix it up on my own. 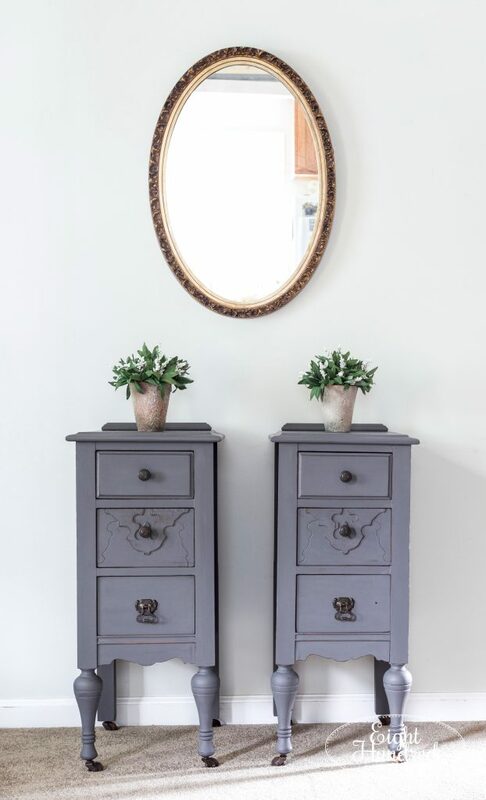 I used it on these beautiful nightstands that I separated from a vanity that was barely hanging on. 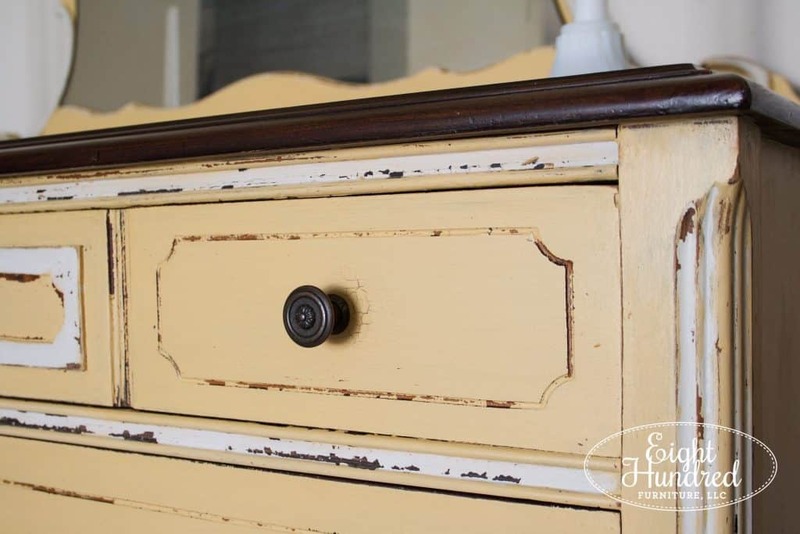 I let the paint chip where it wanted and sealed everything with Hemp Oil. One of Marc’s cousins bought them so it’s nice to know they’re in the family! Here’s another piece I completed using the secret recipe for Aviary. 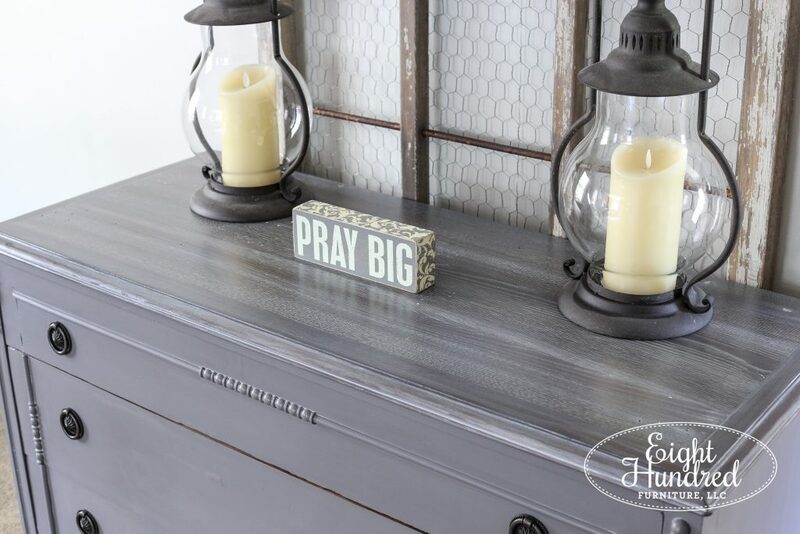 I painted this in anticipation for the launch of the color on the MMS Milk Paint blog and it was such a fun piece to work on. I bought it from a fellow vendor at Morgantown Market, and it was incredibly busy looking. 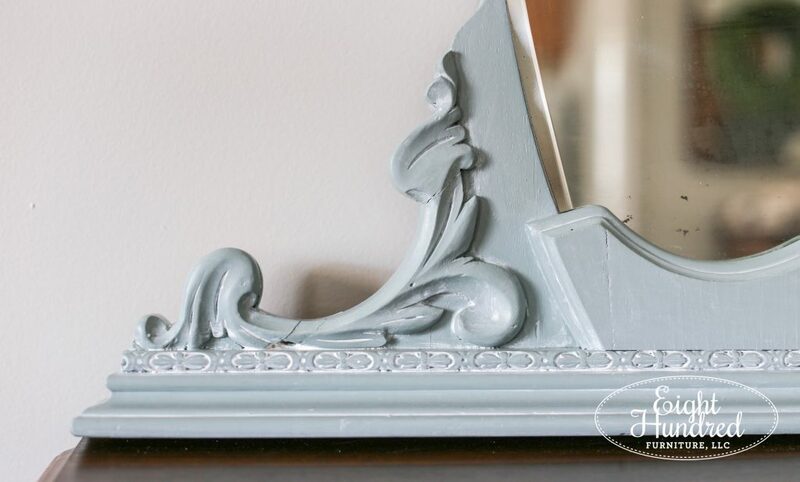 The smokey blue gray of Aviary toned it down and allowed you to appreciate all of the beautiful details. 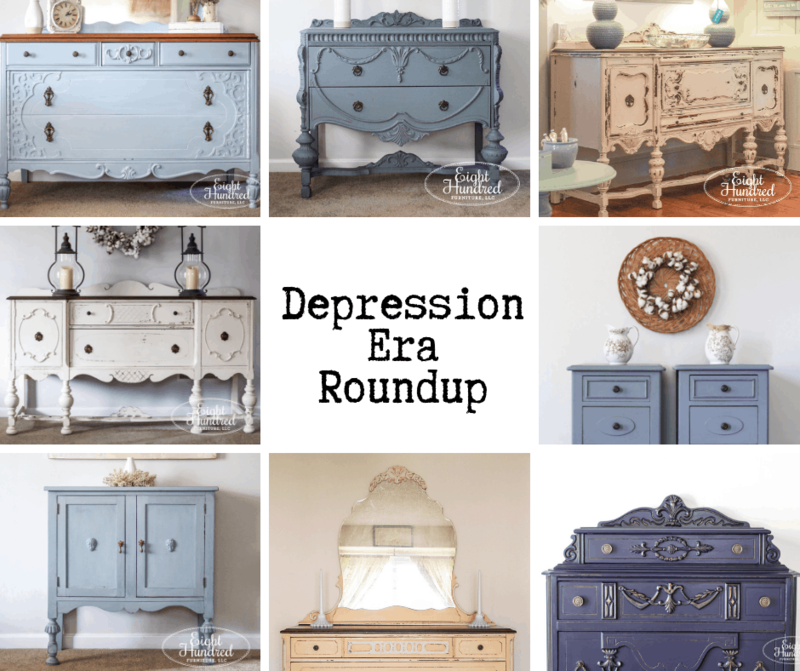 I hope you enjoyed this Depression Era Roundup! 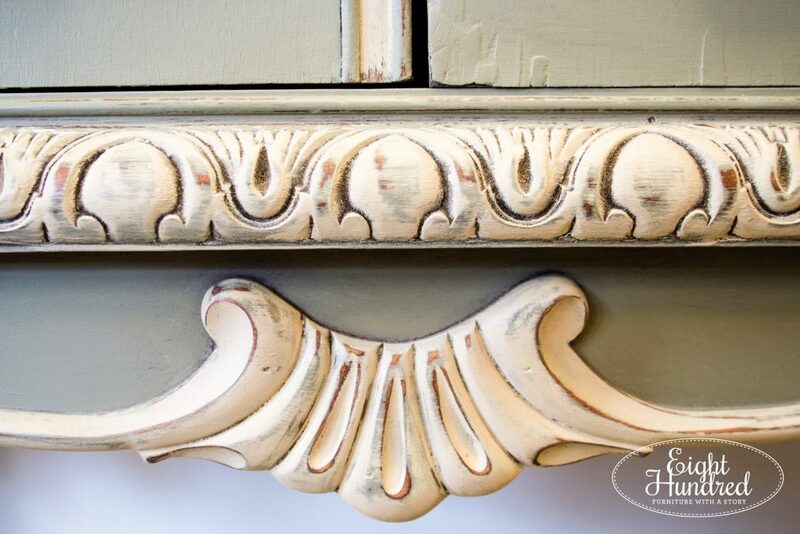 Hopefully you’re inspired to pick up a piece from this time period and create a fabulous makeover of your own!